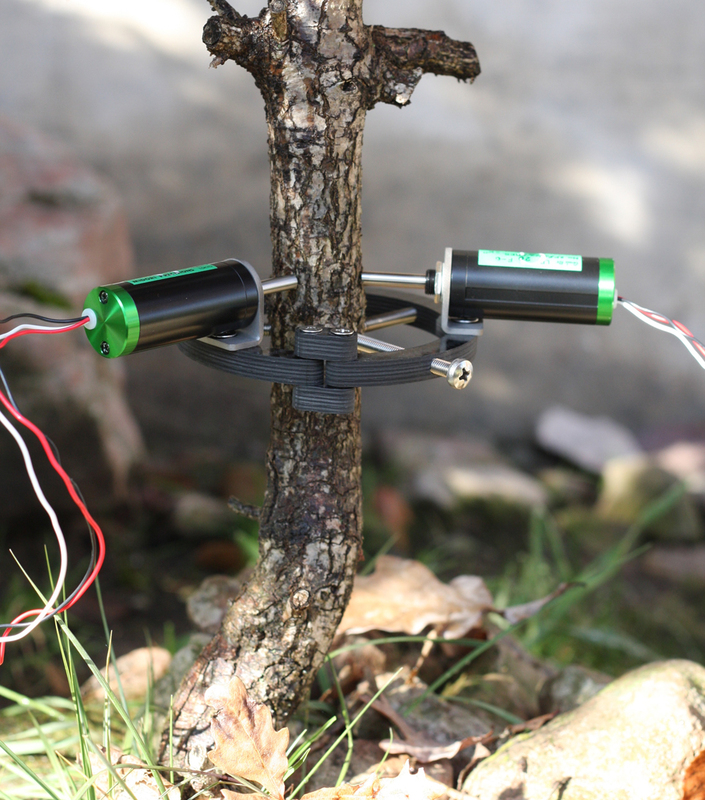 Point dendrometers measure radius changes of stems, branches and roots. 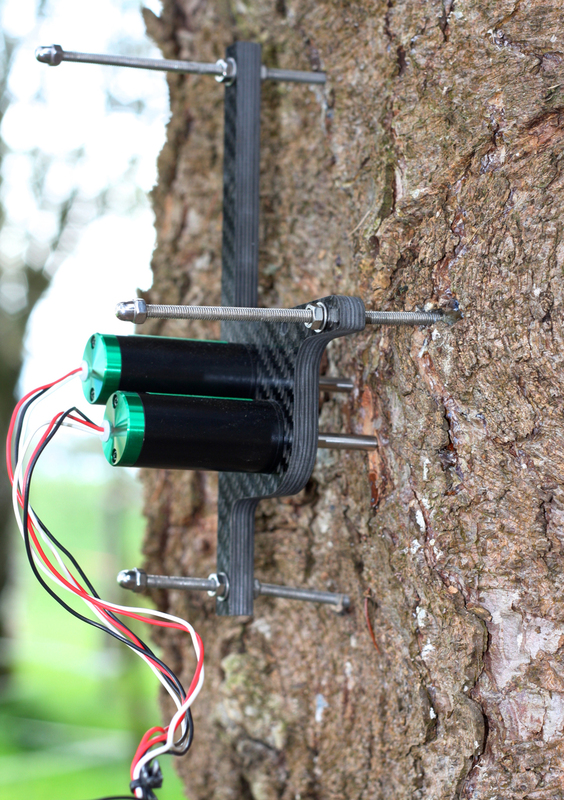 The high precision sensors detect water related swelling and shrinkage of stems on a temporal resolution of minutes and they further detect wood and bark growth over seasons. 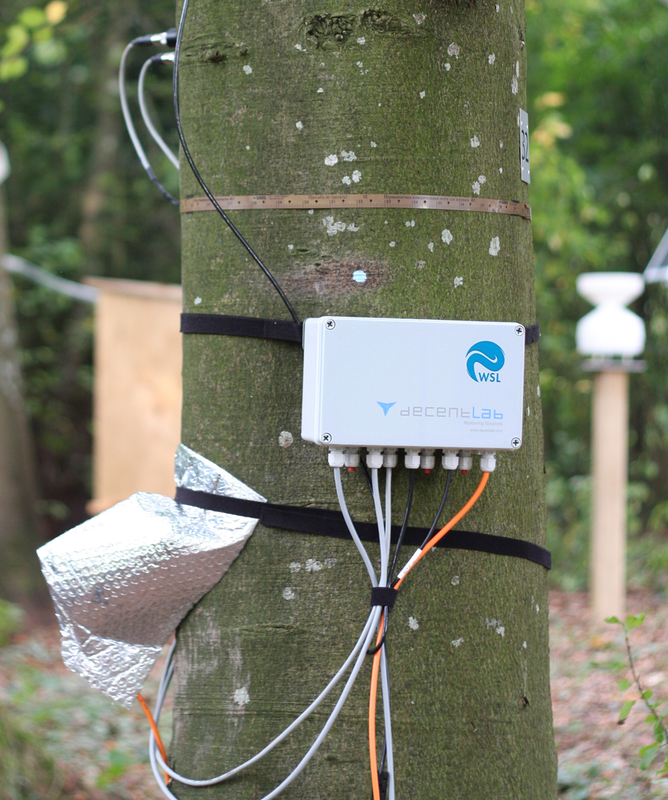 Our point dendrometers are high precision tools to analyse tree water relations and growth processes of trees in relation to (changing) climatic conditions. Find more details under TreeNet.info and PrometheusWiki. 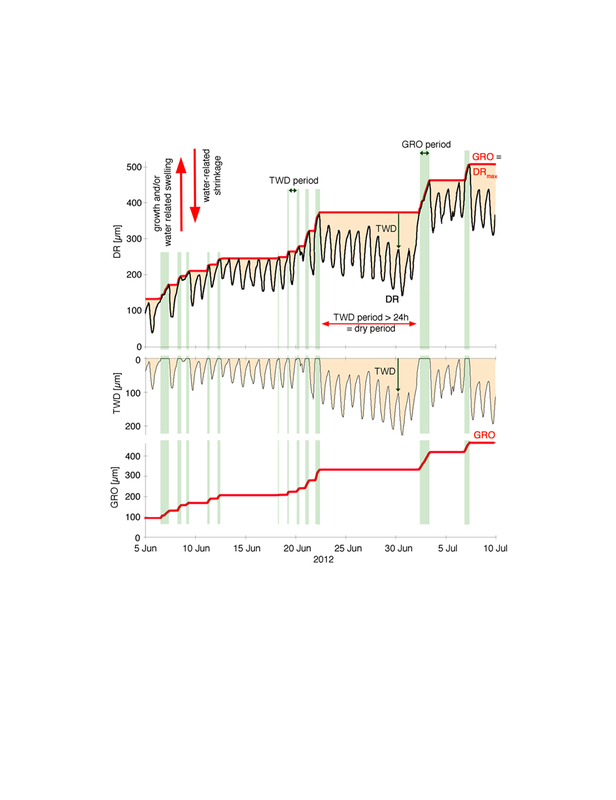 Natkon has deep knowledge in dendrometer data analyses. 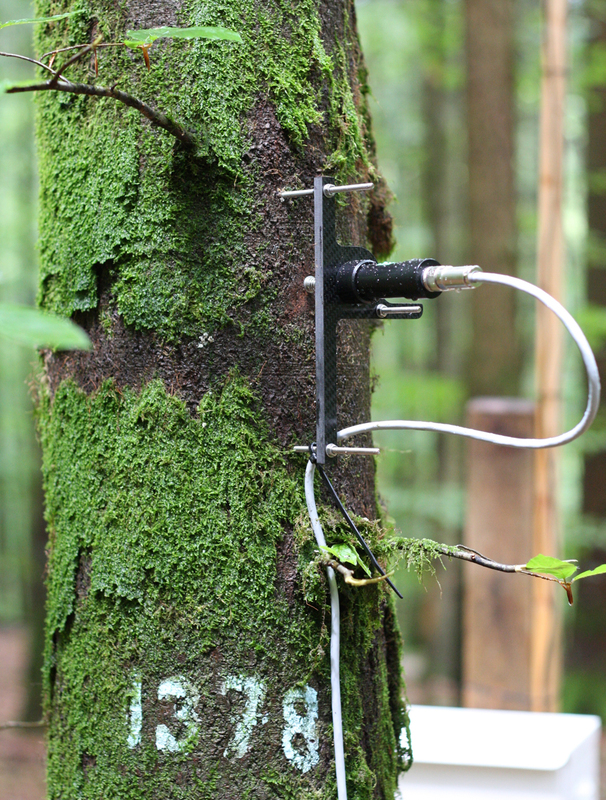 It starts with data cleaning and gap filling, goes further with the partitioning of stem radius fluctuations into growth and tree water deficits, and ends with calculations of growth-, net ecosystem productivity-, and drought stress indices for entire forest ecosystems. Natkon point dendrometers are powered with a stabilized 3 to 5V DC power source and are compatible to almost any type of data loggers on the market. 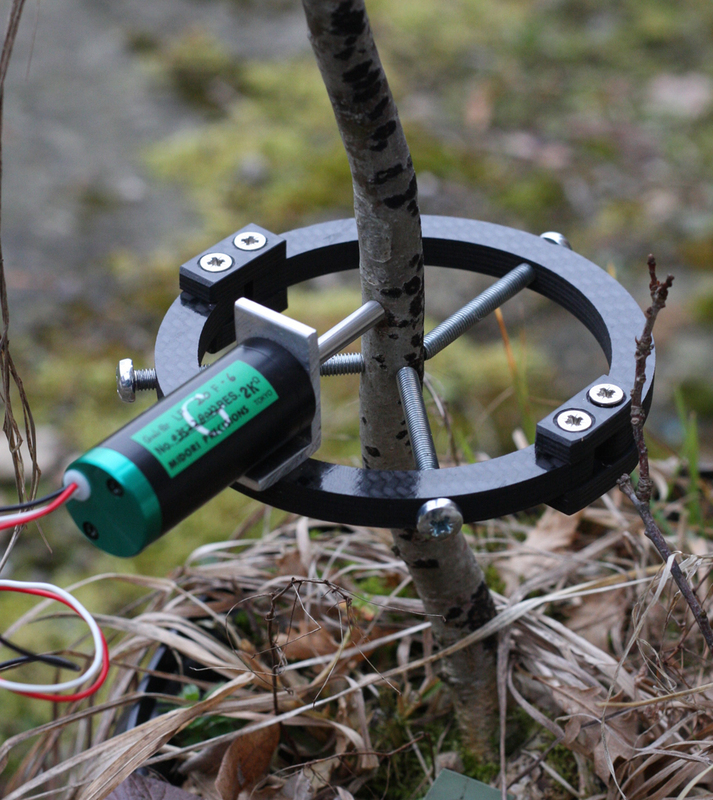 However, the quality of the dendrometer readings depend on the resolution of the data logger. 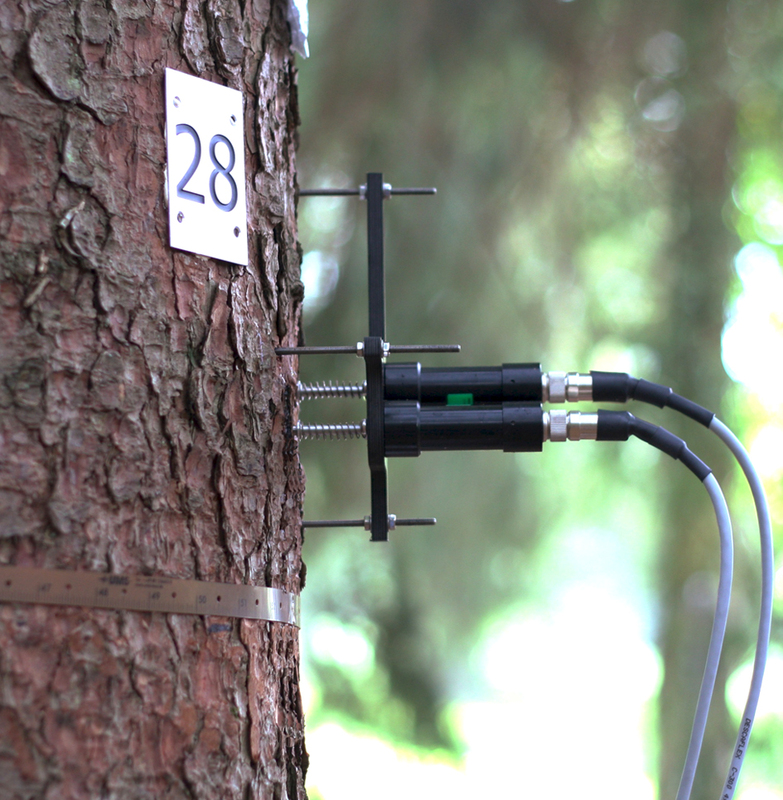 Natkon therefore closely collaborates with the data acquisition company DecentLab. 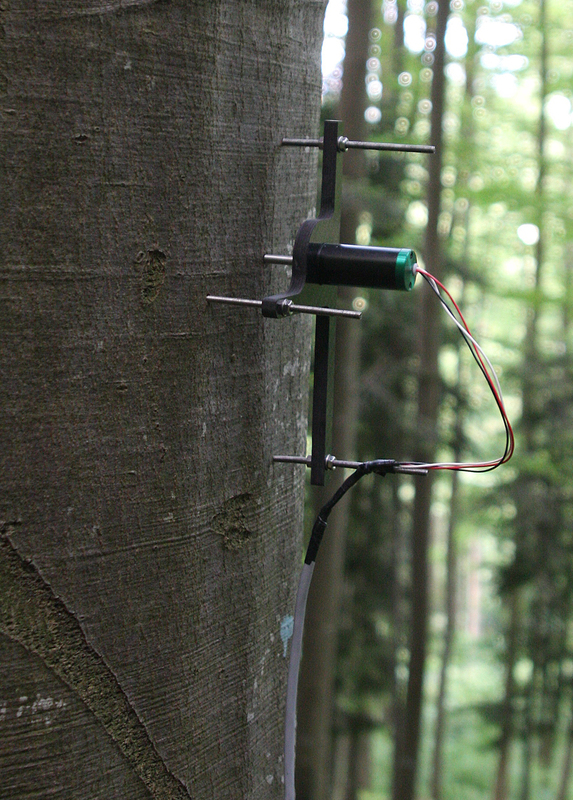 DecentLab’s logging devices turn every of our dendrometers into a wireless sensor and enable to record dendrometer readings with a resolution of less than 1 µm. Furthermore, all the DecentLab logging solutions include a real-time transfer of measured data into a database that is accessible via a web browser (see e.g. research site at WSL in Birmensdorf).